Older drivers are as safe as drivers from all other age groups, according to research published today by the IAM (Institute of Advanced Motorists). Contrary to widespread belief, the study shows experience counts in the drive for safer roads. They have better attitudes to safety, deal with hazards better than young drivers and use experience to increase their safety margins on the road. 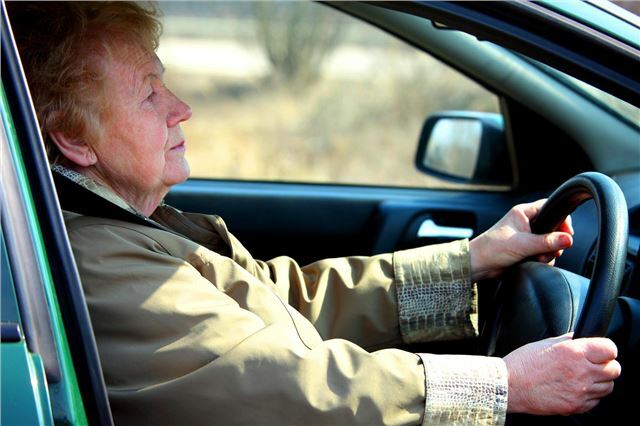 The report reveals that drivers over 75 react just as quickly as other age groups when a vehicle emerges from a side road or if the car in front brakes suddenly on a rural road. They keep a bigger following distance than drivers from other age groups. Compared with other age groups, the eldest group appeared to stop short of the stop line at junctions and not look as often as others before pulling out. Older drivers failed to look in their rear view mirrors as much as other age groups on the motorway. The IAM believes it is important these findings are used in on-road and online assessments to ensure that older drivers understand the risks they face and what they can do to improve their driving in key areas. The study was undertaken by TRL on behalf of the IAM. There were thirty-two participants, eight from each of the following age groups: 17-26 year olds, 34-55 year olds, 64-74 year olds, 75+ year olds. The sample size reflects the in-depth nature of the research with the tasks taking a number of hours. Older drivers should have a regular check up with their doctor to ensure that they are still fit to drive safely. Your eyesight may not be as sharp as it used to be. Deterioration can be quite slow and you may not realize that you vision isn’t as good as it ought to be for safe driving. A regular check up with a qualified optician is very important for older drivers. If you wear glasses, check that they are suitable for driving. Arthritis or stiffness will restrict your movements and your ability to make effective all round observations and can also affect your vehicle handling skills. There are special accessories designed to meet the needs of older drivers. You may find that exercises by your doctor can also help. Driving safely requires good awareness. Observation errors and misinterpretation of information are common factors in crashes involving older drivers. Reaction times get slower with age. Be prepared to make adjustments when age-related changes affect your driving performance. Keep up to date with changes in the Highway Code. Ignorance of the law is no excuse. The IAM is the UK’s largest independent road safety charity, dedicated to improving standards and safety in driving, motorcycling and cycling. The commercial division of the IAM operates through its occupational driver training company IAM Drive & Survive. The IAM has more than 200 local volunteer groups and over 100,000 members in the UK and Ireland. It is best known for the advanced driving test and the advanced driving, motorcycling and cycling courses. Its policy and research division offers advice and expertise on road safety. I recently discovered my local authority can arrange a 2 hour driving assesment for drivers over 70 for £10. The examiner was a fully qualified instructor for both cars and HGV's and the test was very thorough with many different situations. I got a good report except turning right I tended to cut the corners. All local authorities should offer this sort of course for older drivers. Well done Herefordshire Council ! Lol ! Are they on drugs? Last week I pulled my 82 year old farther in law out of a hotel garden after he launched the ' Volvo' through it's garden wall. Previous to this falling a sleep at the wheel and damaging every body panel on the car from parking incidents was a regular occurrence. Just because your in-law has a problem doesn't all old people have one. How about a report on how safe middle aged and young drivers are. A whooping 32 people tested!!!! Fairly representative then... Were any of these tests done in the dark, on congested motorways or with people who were not keen members of the IAM? I fully endorse the advice given by the I.A.M. I have just received a letter and a gift from them as I have been a member for 50 years as a car driver and 30 plus years as a motorcyclist. I will be 70 years old in February and have been a pilot since the age of 24. I have an aviation medical every 12 months & E.C.G. with no restrictions and eye sight test result far exceeds that required to drive a vehicle on the road. The moral here is that not all pensioners are past it. There is a saying among pilots that could be translated to car drivers as well. " There are old Pilots and bold Pilots but no old bold pilots." What a rediculusly flawed piece of research, the test sample was so tiny it competes with cosmetic adverts on TV! Now how about. "They drive at slower speeds on all occasions"
Thereby causing frustration and dangerious overtaking by drivers who don't want to do 25MPH on a 60MPH road. "They keep a bigger following distance than drivers from other age groups." They are so slow they loose the traffic in front. "the eldest group appeared to stop short of the stop line at junctions and not look as often as others before pulling out." They probably don't see the point of looking as they are so far back they woudn't see anything anyway. "Older drivers failed to look in their rear view mirrors"
That way they don't see the accidents they have caused. Added to this is the fact (ROSPA data) accidents causing fatality to cyclists & motorcycleists are attributed to older drivers. Older drivers stop at junctions/roundabouts where not obliged to even if no other vehicals are around, seem to have an inability to park without hitting other cars, and have no notion of what direction their car will head whilst reversing.